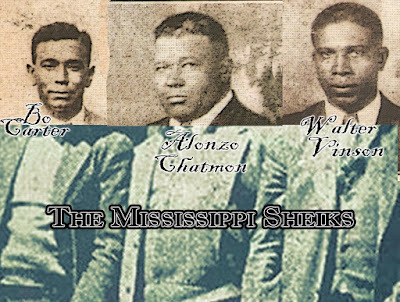 “The band’s name reflected the lore surrounding Panther Burn, Mississippi. 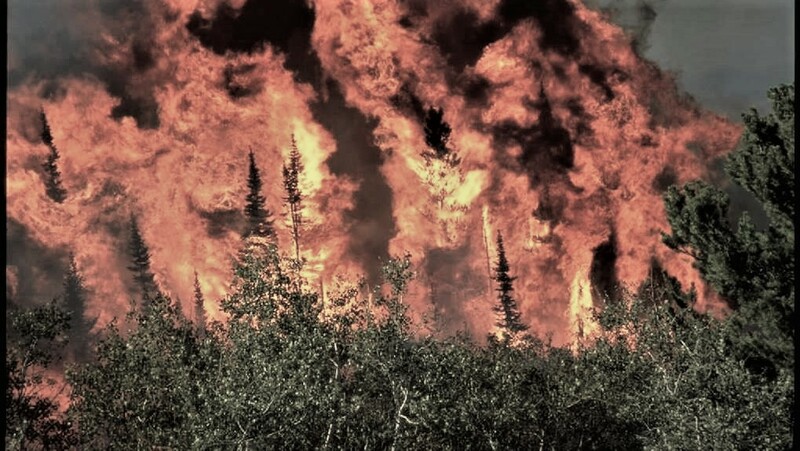 This town was menaced by an elusive wild beast that, when finally cornered, was set aflame. Its dying shrieks so horrified the citizens that they named the community for it. The moniker was appropriate for” Tav Falco’s assembly of musicians, The Panther Burns. It's not clear at all where this supposed lore came from--perhaps the mind of Falco himself, or Gordon's own exaggeration--but the town of Panther Burn has plenty of actual historical information related to the naming of the town. 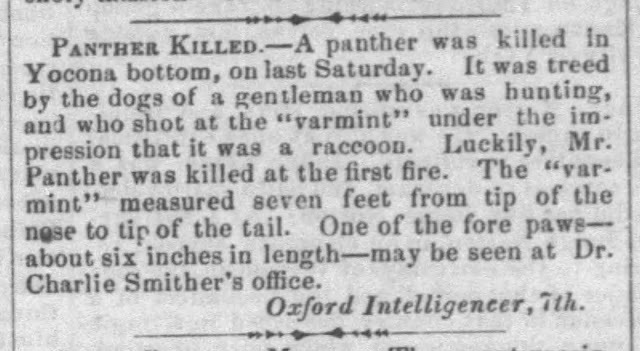 Here is one news item from the Vickburg Herald in 1860 that explains how the town got its name. 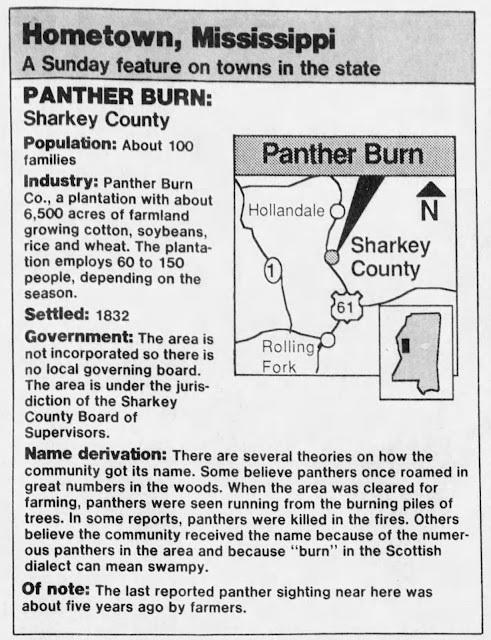 Industry: Panther Burn Co., a plantation with about 6,500 acres of farmland growing cotton, soybeans, rice and wheat. The plantation employs 60 to 150 people, depending on the season. Settled: 1832 Government: The area is not incorporated so there is no local governing board. The area is under the jurisdiction of the Sharkey County Board of Supervisors. Of Note: The last reported panther sighting near here was about five years ago by farmers. (Jackson, MS) Clarion Ledger, Nov 1, 1987.